Miley Cyrus has been especially extra on Instagram these past few days for the best reason. The “Nothing Breaks Like a Heart” singer is on a meme-posting spree in honor of International Women’s Day, which was last Friday, March 8. The day may have passed, but that hasn’t stopped her from tributing her favorite women, though. What did you expect? She can’t be tamed! If you thought Cyrus would celebrate this important holiday by just posting some cute pics and captions then, well, you don’t know Miley Cyrus. She kicked off Valentine’s Day by sending her husband, Liam Hemsworth, an NSFW meme. Hell, she kicked off 2014 by sliding down a giant blow-up of her tongue. Of course, her International Women’s Day tributes are delightfully bizarre. Let’s start with her shout-out to Nicki Minaj, which includes a GIF of the two at the 2015 Grammys and the hashtags “#Top” and “#TopEnergy.” It’s 2019, so I’ll just let you make of that what you will. 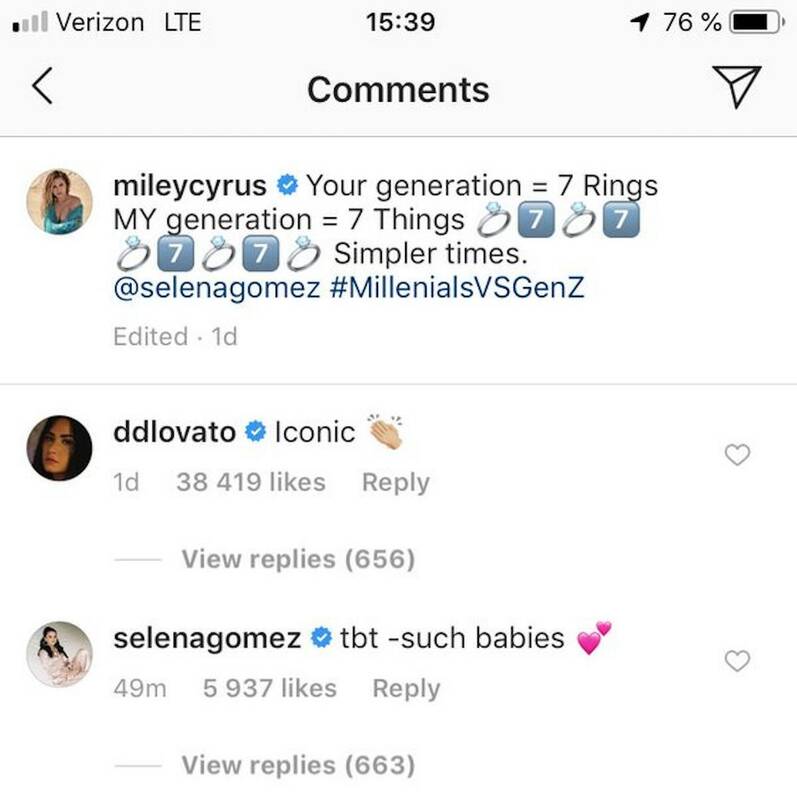 She then asked her 87.3 million followers if they wanted to “top like Taylor” or “twerk like Miley.” I don’t know what’s going on here, but I suddenly think Cyrus should run in the 2020 presidential race. Cyrus extended International Women’s Day into Monday (March 11) with this throwback video of herself and Rihanna singing at a Stand Up to Cancer event. Remember this time? When Cyrus sang “7 Things” and Rihanna sang…anything? Seriously, RiRi, where’s #R9? Here’s where Cyrus’ IG activity gets confusing. She’s keeping up her weird theme, but there’s no reason behind the posts. Here she’s asking Ariana Grande to do a cover of this ring tone (?) called “Miley Slays.” Is this a preview of the new album? “Miley Slays” could be the bop we’ve been waiting for. She followed this up with a Teletubbies video and, below it, complains about sweating. I’m just as mystified as you are. Cyrus is also showing more love for “7 Rings.” She really loves that song, huh? So what’s the consensus? What is going on with Cyrus’ Instagram? It’s an International Women’s Day/nostalgia bonanza wrapped in Teletubbies, random ring tones, and head-scratching Taylor Swift GIFs. Miley really is just being Miley, I guess. That’s probably the only explanation we’ll get about her aesthetic. Let’s embrace it.